Jeff specializes in working with individuals and business owners who are serious about their financial futures. In 1994, Jeff started Prentice Financial Services, Inc., an insurance and financial services company. Since he first started in the industry, Jeff has had a strong commitment to continued education, and believes it shows his commitment to his clients’ success. Jeff is a member of the Million Dollar Round Table (MDRT), the premier association of insurance and financial professionals that works to increase volunteerism and provide funds to worthy charities worldwide through the MDRT Foundation, the charitable arm of the Million Dollar Round Table. He’s been a qualifying member in 1998, 2000, 2001, 2002, and Court of the Table for 2003. Jeff lives in Oswego, Illinois with his wife and their two daughters. In his free time he enjoys golfing, fishing, and hunting. Education: B.S., Finance, Western Illinois University. Credentials: Registered Representative – Securian Financial Services, Inc., Chartered Life Underwriter® (CLU®), Chartered Financial Consultant® (ChFC®), Certified Financial Planner™ professional (CFP®), and Certified Fund Specialist (CFS). Organizations: Member National Association of Insurance and Financial Advisors (NAIFA), Member Society of Financial Service Professionals (SFSP), Member Financial Planners Association (FPA), Business Exit planning Institute (BEI), and Premier Resource Group (PRG). 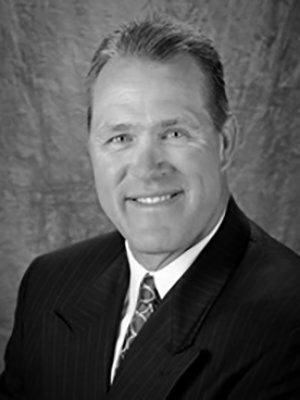 Jeff Prentice is a registered representative and investment advisor representative of Securian Financial Services, Inc. Member FINRA/SIPC. Securities and investment advisory services offered through Securian Financial Services, Inc., Member FINRA/SIPC. Prentice Financial Services, 37F Stonehill Road, Oswego, Illinois 60543, is independently owned and operated.